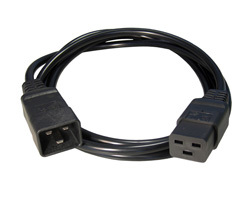 Heavy duty power leads, frequently used for PDUs and Rack mounted equipment. 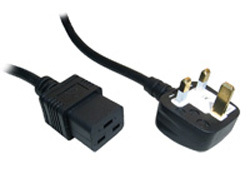 The C19 to C20 International IEC extension cable is commonly used for extending power cables for high current IT appliances such as PSUs, PDUs and some high powered servers and workstations. The PVC connectors are moulded to provide a high quality cable which is perfect for office use and server room use.